There was a bit of a question before the arrival of Pope Francis in the Philippines if President Noynoy would kiss the Pope’s ring or not. The question was a matter of protocol, the online article said. If I understood things correctly, as Head of State, the President is not obligated to do so. After all, since the Pope is the head of the Vatican state – which is a political entity – then they are equals in the order of international relations and politics. The Pope, however, does wear another hat. That is, he is also spiritual and symbolic head of the Roman Catholic religion, something that transcends national borders. As a Catholic, therefore, the President is one of the ‘flock’ and thus a ‘subordinate’ – for lack of a better word – of the Pope in the Church hierarchy. For the record, the President has stooped down to kiss the Pope’s ring. Although he did so, there has been no break in protocol because of the dual nature of the Pope’s office or what he represents. 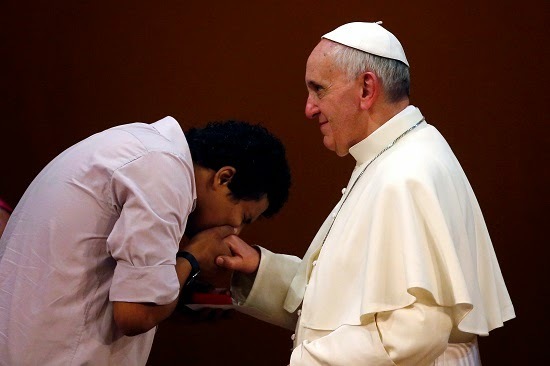 This practice of kissing the ring – not just of the Pope but also of cardinals and bishops – is something that I have not understood until of late; and not that I can claim that I fully do. When we were in high school, we were due to have an audience with the local bishop and my classmates talked about kissing the bishop’s ring. This was something that I had not heard of before, so I really did not know how to go about it. Did I grab the bishop’s hand or did I wait for him to offer it to me? Did I have to kneel down or should I stoop down instead? At any rate, none of us really got close enough to the Bishop to have actually kissed the ring; so for me, that was the end of the matter. I have always been the squeamish sort; and I thought the practice not just a tad unhygienic. I would encounter bishops and archbishops many times within the course of my career as an educator; but I have always preferred to shake hands rather than kiss their rings. It just seemed more natural to do so; and none seemed to mind. In the past few months, I had watched a number of foreign television series that were set in medieval Europe. Most of these would have scenes showing people kissing the rings of not only monarchs but also of members of the aristocracy. 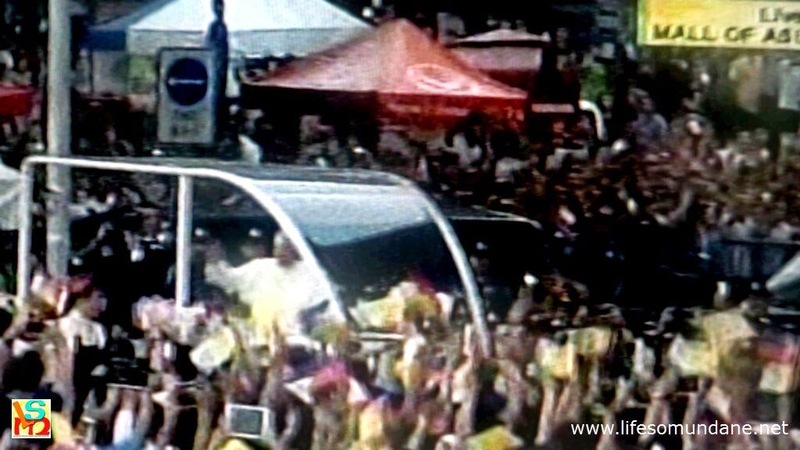 Pope Francis' visit to the Philippines has brought the practice of kissing the ring to the attention of the public by way of national television. The Pope's visit has been covered extensively. Having taught History before, I immediately recognised the gesture as a sign of both fealty and subservience. Fealty in medieval terms was the oath of loyalty or allegiance that people swore in support of their feudal superiors. To swear fealty to a king or queen, therefore, was to pledge allegiance to him or her and acknowledge his or her sovereignty. Was the act of kissing the king’s or the queen’s ring, therefore, a symbolic declaration of loyalty and an acknowledgment of subservience? An Internet source – not one you can quote in a dissertation – thought so. Moreover, this source even suggested that there was a practicality to showing one’s loyalty without getting too close to the monarch. This prevented any assailant from stabbing the monarch or the noble with a dagger. What I cannot as yet establish is if the practice began within the Church and was adopted at court in medieval kingdoms; or if it was the other way around. After all, the hierarchy and structure of the Church is still, to this day, very feudal in nature. I am rather inclined to think, however, that this was a Church practice first. After all, after the collapse of the Roman Empire, it was the Church with its pseudo-political structure that filled the political vacuum brought on by the empire’s collapse. In fact, it was not until the latter part of the Medieval Ages that kings started to challenge the preponderance of the Church. This, in turn, would fuel the debate on the separation of church and state, something which to this day continues on at least in this country.